Easter is here! 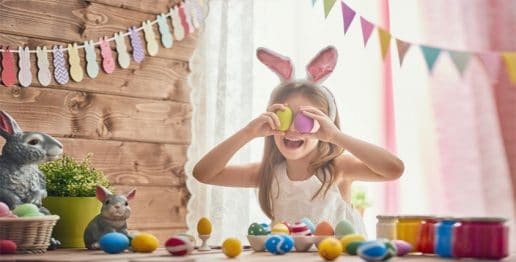 Get ready for an ‘eggciting’ time at Atlantis, The Palm this April with two weeks of Easter themed activities planned for the younger guests as well as the rest of the family too. Fancy something more adventurous? You can enjoy a 10-minute Easter themed photo session at Dolphin Bay where you can hug, kiss and play with our dolphins. Ticket Price: AED 460 for resort and non-resort guests. 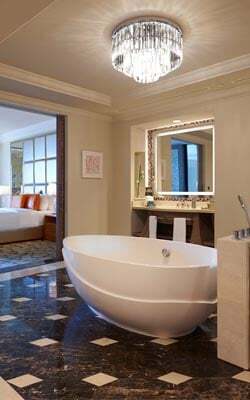 If you’re staying at Atlantis Dubai during the Easter weekend, you are in for a treat! 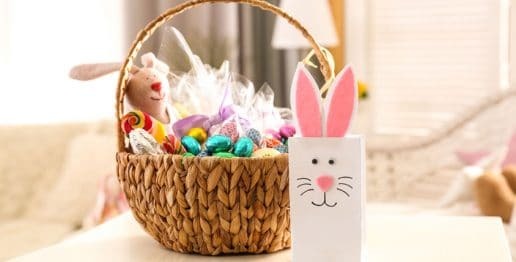 Simply call the Bunny Hotline and arrange for our popular resident Bunny, Wendall The Rabbit to hop by your room and deliver a big personalized basket of goodies at a time you prefer. Remember to have your camera ready to capture the special moment. To book the Eggstra Special Basket deliveries, please call +971 4 426 1387. 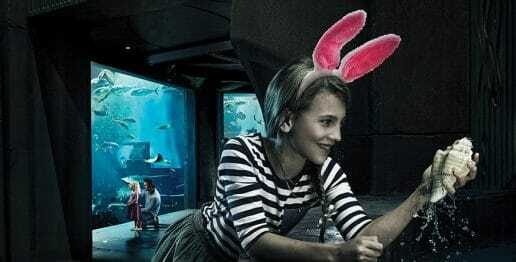 Catch a glimpse of the elusive underwater Easter Bunny who will be diving in The Ambassador Lagoon accompanied by over 65,000 marine creatures. Be sure to bring your camera so you can capture this special moment! Kids staying in-house or visiting for the day will absolutely love partaking in the wide array of Easter activities planned at Atlantis Kids Club. Kids aged 12 and under can can join in on The Big Bunny Bash at the Kids Club for ultimate egg hunt, arts and crafts, music, egg scavenger hunts, an amazing piñata party and much more! Ticket Price: AED 250 per child. To book The Big Bunny Bash, please email or call +971 4 426 1387. Our Eggmazing Family Race promises to be loads of fun, with the whole family racing around the resort, searching for clues and solving a series if unique challenges while capturing all the moments on their camera. There is even a special prize for the winners. This activity is complimentary for Atlantis guests. Pre-registration is required at the Zero Entry Pool Deck on 18th April from 10:00 am – 5:00 pm. For more information about the Eggmazing Family Race, please email or call +971 4 426 1471. On Saturday 20th April, our award-winning Aquaventure Waterpark will be transformed into an Easter egg hunting ground for a day of family fun! Jump onto one of our water slides and search for the bright Easter eggs scattered around the park, as you slip and slide on our adventurous rides! Once you’ve collected your eggs, take them to our Eggschange centre where you can swap them for some mouth-watering chocolate egg treats! There are a whopping 50,000 eggs to be found, so grab your swimsuit and hunt! Fun continues back in Atlantis at Dubai’s biggest aquarium. OnApril 21st, The Lost Chambers Aquarium is kicking off Easter celebrations by welcoming younger guests (aged three to 12) to experience the myth of the lost city of Atlantis with the Eggscavation Hunt. Lots of candy’s will be hidden around the displays in the aquarium for you to find! The Eggscavation Hunt is free for Atlantis guests. To book the Eggsavation Hunt, please email or call +971 4 426 1387. Giving a new twist to a beloved holiday tradition, Sea Lion Eggstatic Hunt will have our sea puppies join you in your hunt for treats at Sea Lion Point on 21st April. The Sea Lion Eggstatic Huntis complimentary for Atlantis guests and does not require prior booking. At Atlantis, we love to brunch and we are hosting a range of Easter brunches, where family and friends are invited to celebrate Easter at our restaurants – Saffron, Bread Street Kitchen, Wavehouse and Kaleidoscope, to name a few – by savouring delicious breakfast dishes, delectable entrées, delicious drinks and treats. 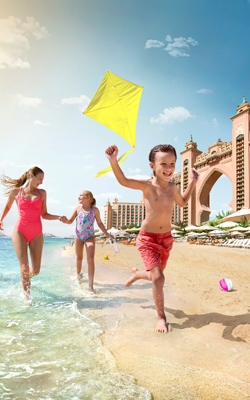 Come and enjoy the celebrations this Easter at Atlantis with unforgettable memories with your family and friends!